Dead Space 3 has had a difficult lead-up to launch. James Cullinane weighs up whether this game's more action-oriented direction marks a new dawn for the series, or an ignominious end. Few games have had to endure as troubled a road to release as Dead Space 3. The game’s E3 2012 debut was met with a smattering of slightly baffled, mostly perfunctory applause by gaming press when it appeared that EA Visceral had cast aside survival horror in favour of cooperative action. 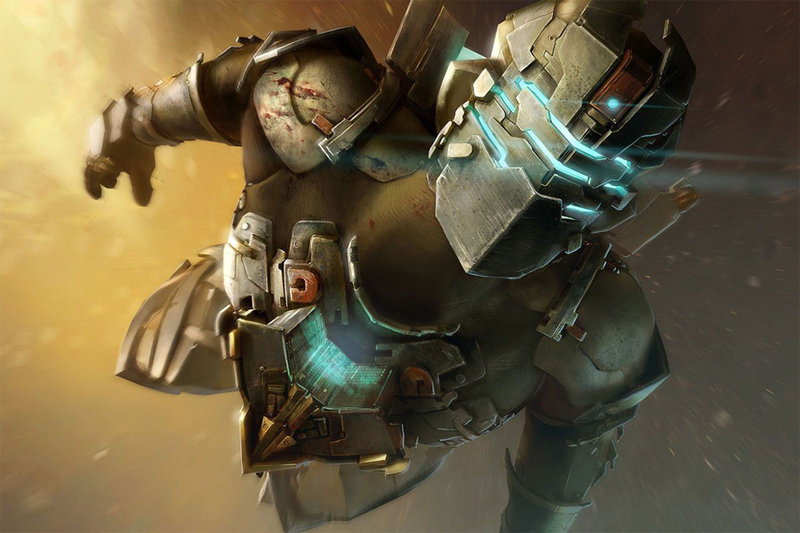 Things didn’t get much better when EA’s Frank Gibeau said that Dead Space 3 needed to be more broadly appealing in order to sell more units lest it be axed. 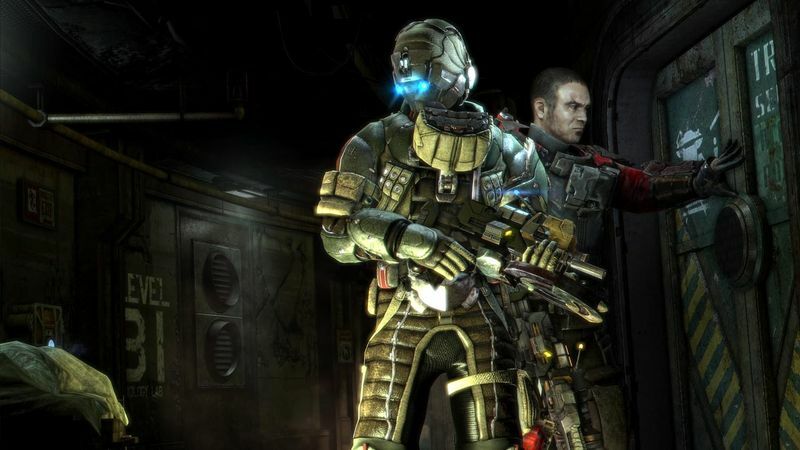 Things picked up later as EA changed tack and focused on demonstrating those parts of the game that resonated with Dead Space fans most, but it closed on a definite pre-release low with news that the game would include microtransactions, a feature poorly explained away as an appeal to players who had somehow leapfrogged here from mobile platforms. Somewhat surprisingly, EA Visceral’s feature-rich, kitchen sink approach to the development of Dead Space 3 has resulted in a largely enjoyable game, but it’s one that may leave many existing fans of the series a little disappointed. Things get off to a worrying bang after some preposition about a spurned love interest in Ellie Langford is shoehorned into the interval between games two and three. From there, Isaac spends the first hour playing high octane cover-shooter against human opponents in an extended sequence that is very much at odds with both the series, and his everyman engineer appeal. Characterisation, from the two-dimensional villainy of Danik, to the predictably douchey portrayal of space marine sidekick John Carver, is also too heavy-handed to warrant much praise. In its haste to neatly wrap up all narrative threads in the universe, Dead Space 3 errs towards the reductive. Happily, the game sets into a steady and familiar pace once Isaac is exploring an ancient flotilla of abandoned ships, and briefly the game promises to adopt and solid rhythm. However, the experience dips a little downward again when Isaac must descend to the icy planet of Tau Volantis, and into its two alternating environments: industrial innards, and blizzard-whipped exterior. Even where this game does recall the dark corridors of the earlier installments, the effect now is more like a rickety haunted house ride with predictable cues and cheap gimmicks. While tough-guy gamers may argue the series has never been scary, for those of us who didn’t spend our youths torturing neighbourhood pets, the series has always provided plenty of spooks and chills. Not so in Dead Space 3. Familiarity may breed contempt, but there are two worse offenders. The first, predictably, is the cooperative play. Nothing kills suspense and atmosphere quicker than knowing there’s a buddy who has your back. But the game’s cooperative mode is optional. What can’t be avoided is the intrusion of microtransactions. Despite fears, EA Visceral has delivered on one promise at least: the game is balanced in such a way that microtransactions never feel necessary. Dead Space 3 can easily be completed without scratching that itch, and resource glitches exist in the final product so that any dedicated gamer can accrue far more resources than necessary with just a little time and patience anyway. Where the microtransaction system really damages Dead Space 3 is in the suspension of belief. Any atmosphere the game works so hard to create is undermined by the intrusion of the marketplace. The game draws us in to embody Isaac and believe in Visceral’s world. The microtransaction system, whether we choose to use it or not, rips us back out again by constantly reminding us we can punch in our credit card details at any time if we’d like to give Isaac a leg-up. The microtransaction system is tied to the resource and crafting system, and this truly is a work of art. As players gather or purchase resources, they’re able to craft weapons. It’s a marvelously generous and flexible system that also plays perfectly to Isaac’s background as an engineer. 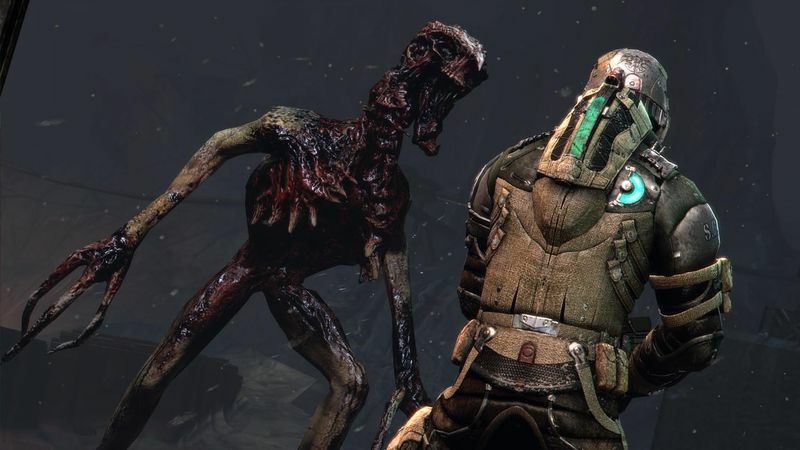 At first, the crafting system can be overwhelming, but soon, players will be experimenting with combinations that amplify one of the most satisfying aspects of the Dead Space series: the creative dismemberment of the necromorph threat. John Carver [has] all the personality of a sack of wet mice. If a downside can be found at all, it’s that inevitably some combinations are so powerful that much of the challenge or difficulty is removed. Survival horror is about resource management, about the terror that comes with having a shred of health and hearing the click of an empty chamber as the lights go out. Creating a customised, magical weapon of mass destruction that can simultaneously suspend enemies in midair and alight them with a flamethrower does much to minimise that effect. For all the damage it does to Dead Space 3’s survival horror credentials, the cooperative mode is remarkably well constructed. A second player controls John Carver, a stereotypically butch space marine with all the personality of a sack of wet mice, but it doesn’t matter – once a second player is introduced to any game, things like character motivation go out the window. There are three cooperative-only missions, meaning anyone hoping to get the full experience will need to find a friend, and elsewhere, there are set-pieces that were clearly designed for two, but scaled back to one. The design of the cooperative mode is at times so fun and so prevalent that occasionally the flow of the singleplayer can feel jarred by the sudden arrival of John. The vaunted drop-in, drop out coop doesn’t quite work as intended, however. A second player must wait for Isaac to reach a checkpoint in order to join, and worse yet, a player leaving the game can mean the other is kicked back to the most recent checkpoint. Nonetheless, for those who could care less about atmosphere and simply wish to stomp necromorphs with a buddy, EA Visceral gotcha fist-bumped, brah. Without a doubt, this represents the most ambitious offering in the Dead Space series. It’s a huge game, no question, and in spite of a little padding, it’s certain to provide hours of entertainment, perhaps just not of the variety that the franchise first used to build its credentials. Dead Space 3 is an enjoyable action game, but it's unlikely to make a lasting impression. Ups High production value occasionally shines. Crafting system is huge and flexible. Cooperative play is immensely satisfactory. Microtransactions are mechanically sound. Downs Microtransactions break the fourth wall. Drop-in, drop out coop is problematic. Action trumps horror. Flat characterisation. A large audience from a mobile background.